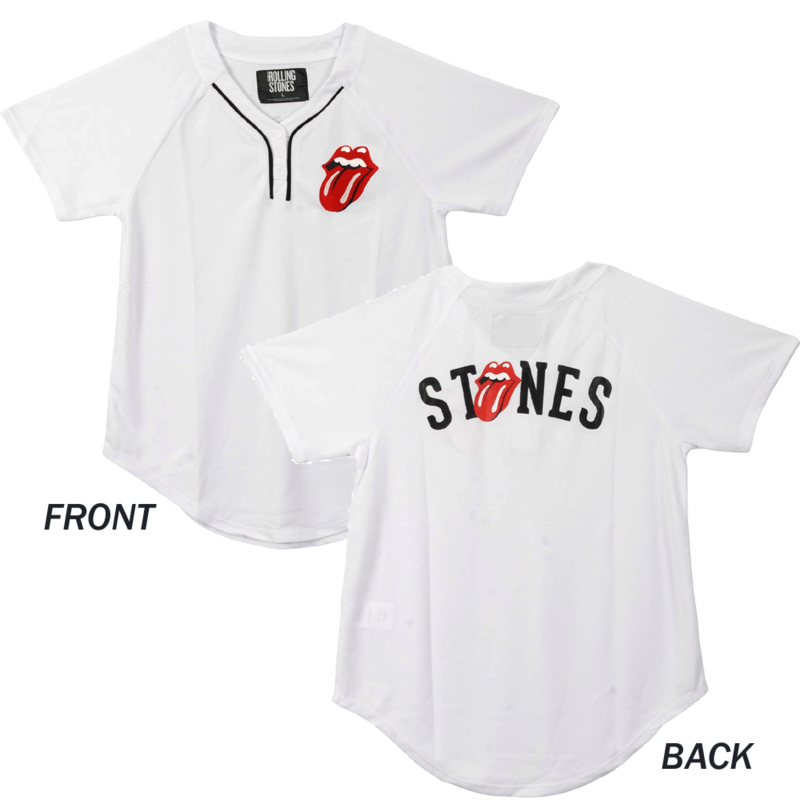 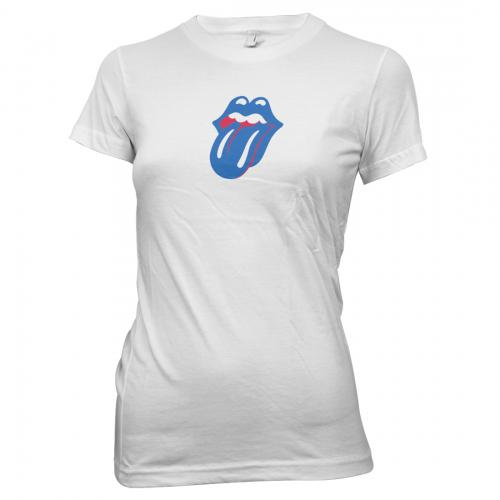 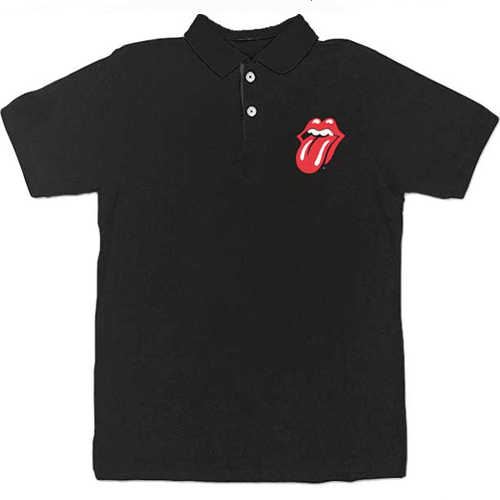 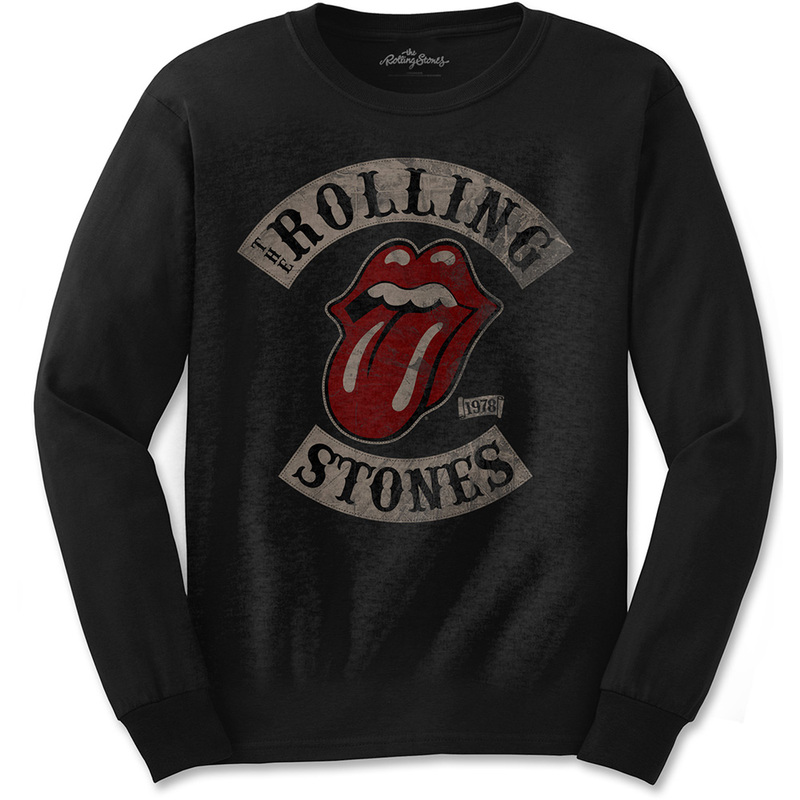 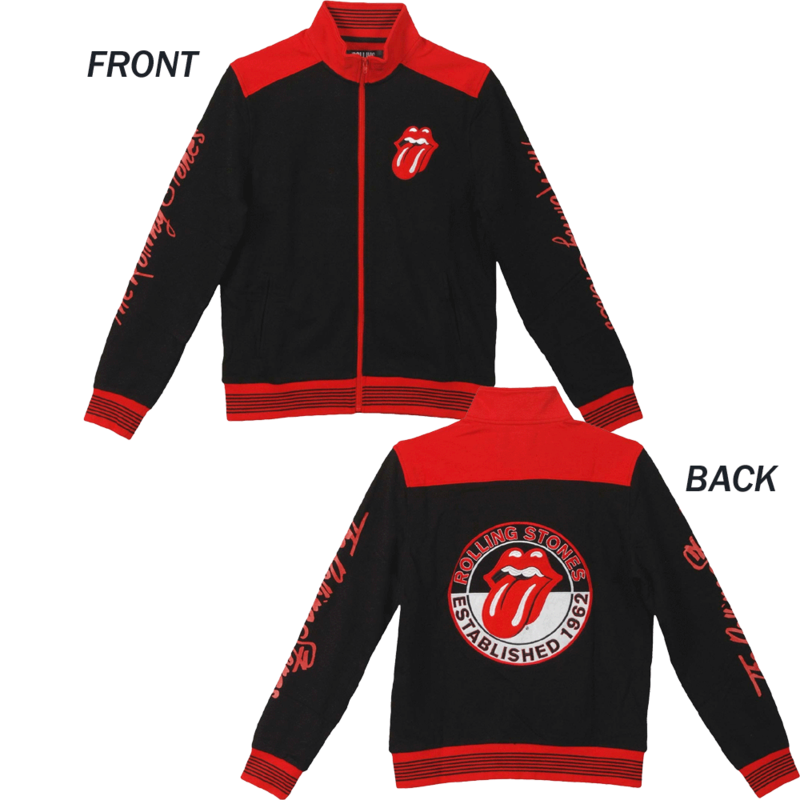 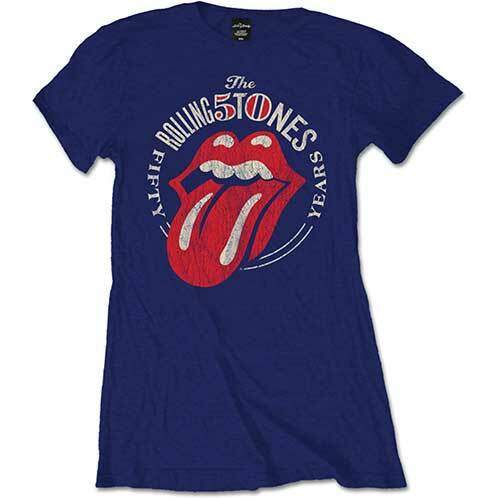 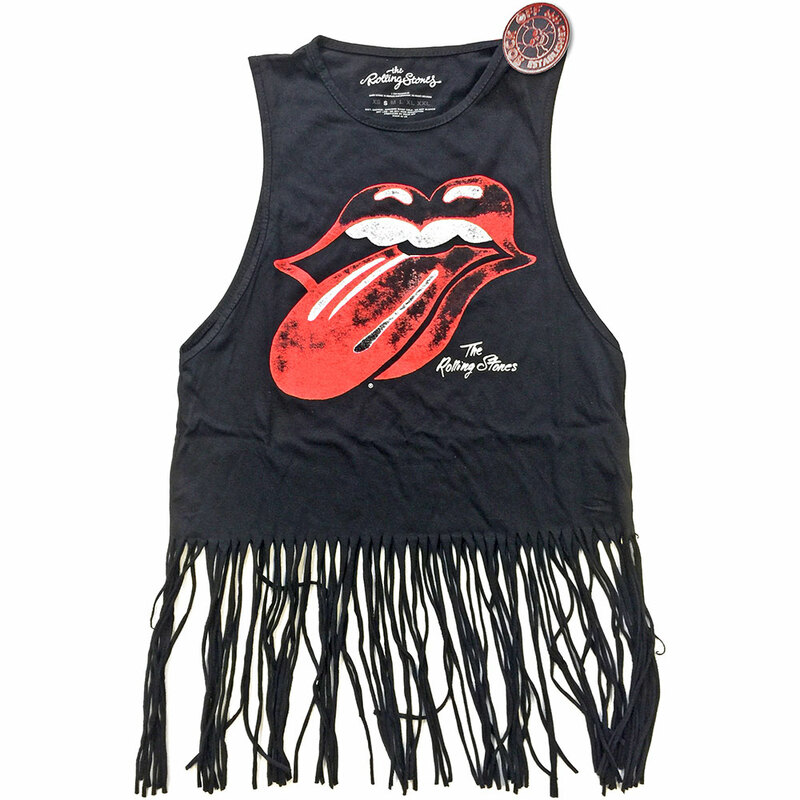 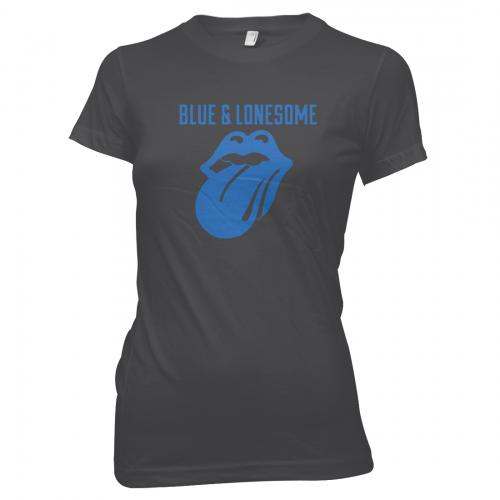 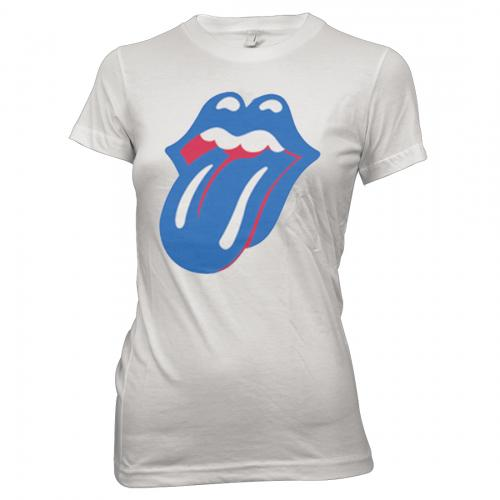 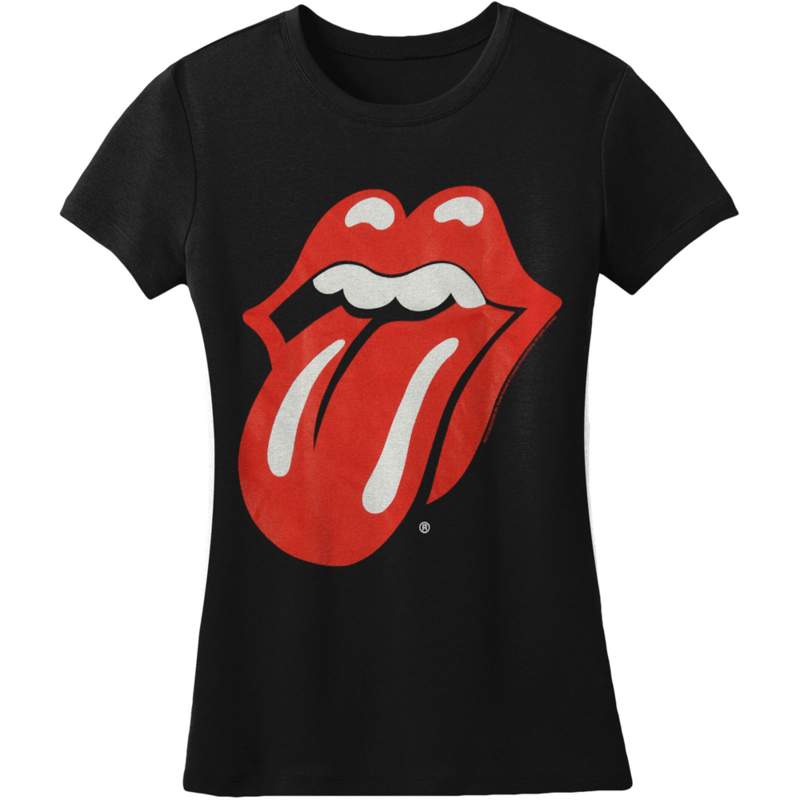 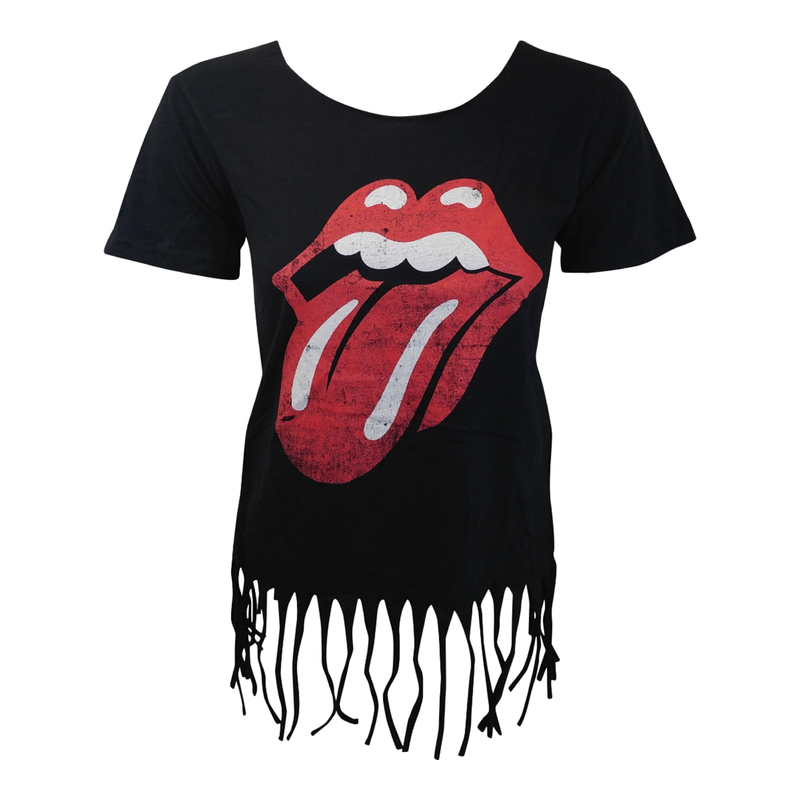 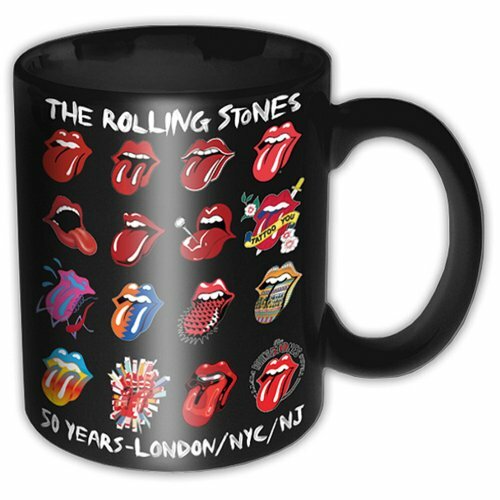 Girls fringe black t-shirt with Rolling Stones Distressed Tongue front print and cap sleeves. 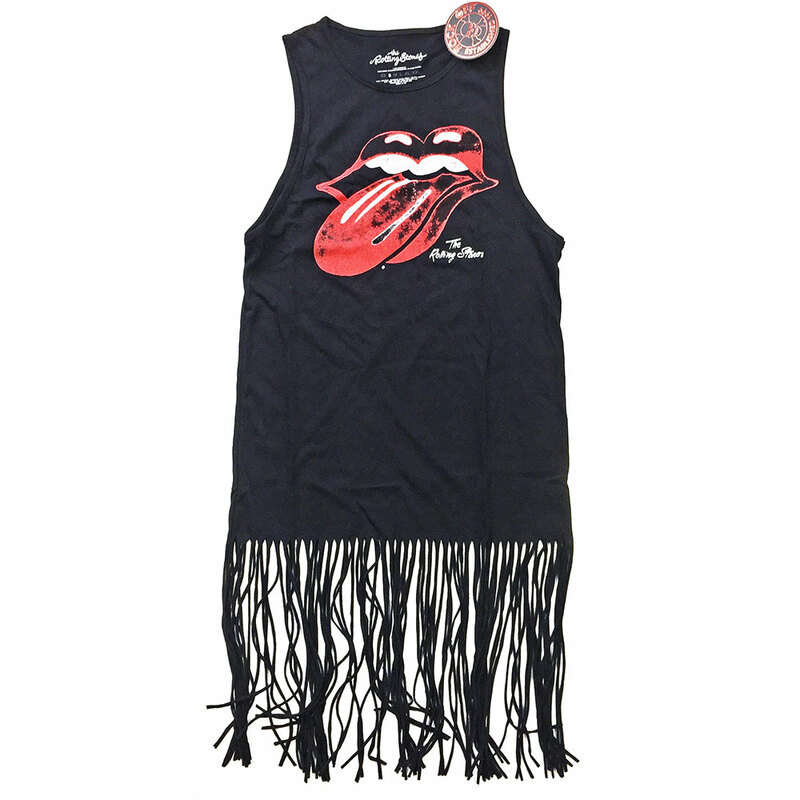 Fringe tops are high fashion cuts with frayed bottoms. 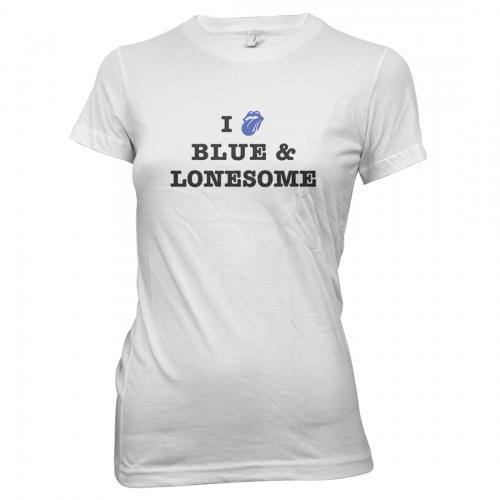 Available in sizes from small to-large.